A Great Southern Oregon Coast Street Fair, Historical Home Tour, Car Show, Back Alley Bash, and much much more at various locations throughout this fun filled Birthday weekend for North Bend. Opening Day Event on July 16th is at Mingus Park with the Bay Area Concert Band at Noon - Admission is Free. Come enjoy wine, food, and music to start the 32nd year celebrating music at the Oregon Coast Music Festival. A unique and special collection of all star orchestra members from around the country join for this unique opportunity to unite with fellow musicians to play for the love of the music. Featuring Native American concert with Joanne Shenandoah, canoe races, a traditional salmon bake dinner, cultural exhibits and demonstrations, a Native American marketplace, children's activities and two evening concerts with Jan Michael Looking Wolf, this free weekend event is an entertaining educational experience that the whole family will enjoy. Once the grand estate of pioneer timber baron Louis Simpson, Shore Acres features 5 acres of lushly planted gardens with plants and flowers from all over the world. Something is in bloom almost every day of the year. Perched on rugged sandstone cliffs high above the ocean, Shore Acres State Park is an exciting and unexpected combination of beautiful natural and constructed features. . During autumn, winter and spring, visitors gather on the tall sandstone cliffs overlooking the Pacific Ocean for storm watching and observation of the gray whale migration. In the landscaped area you'll discover a formal garden, an oriental-style pond and two rose gardens. Walk to the back of the park near the moon bridge to visit the Japanese Choshi Garden, landscaped with irises, bamboo and other plantings. Eleven bands from surrounding states and Canada will play America's original music: Dixieland, Big Band, Jump & Jive, Rock & Roll, Zydeco, Blues and Doo-wop. More than 400 classic and vintage vehicles can be seen at this 3 day festival of fun Live Entertainment. Friday Night Beach Party at Sunset Beach, Saturday show at the Mill Casino hotel, Saturday night Curz the Coos through downtown Coos Bay, and the Sunday Show and Shine at Shore Acres State park.. Escape to the Oregon Coast and experience four winning days of fun and friendship, plus a traditional salmon feast on the shores of Coos Bay. Learn about the culture of the Coquille Indian Tribe with a Traditional Salmon Bake Dinner, prepared in our own Salmon Pit. Enjoy an excursion and box lunch at Coquille Organic Cranberry Bogs. Take a ride in an original Ko-Kwel tribal canoe. Portland, Oregon Television Reporter Chloe Houser from PDX TV featured Coos Bay, Oregon during her recent segment "Chloe's Oregon Road Trip: Southern Oregon Coast, Coos Bay" where she invites viewers to plan a road trip to the Oregon Coast during their summer travels. One of my favorite places to photograph in the NW is without a doubt the Southern Oregon coast and specifically Charleston, Oregon. Shooting the Oregon Coast can be good anytime of the year with winter storms and fog almost anytime of the year, but for better chances of sunny warm days July and August are pretty safe. You don't want to miss this one! Oregon Oysters, there's no better way to celebrate the bounty from the Oregon Coast! Oysters will be prepared in a variety of ways and served with dipping sauces, beans, coleslaw, and rolls. Gourmet hotdogs are available for the non-oyster fan. Wine & Desserts are also available. Starting Feb. 13, 2010 local geocachers will offer a new test ” Oregon’s Adventure Coast Challenge. With 21 sets of coordinates to lead cachers to chosen locations around Coos Bay, North Bend and Charleston, avid participants in the increasingly popular, technology-fueled treasure hunt will find a fun and difficult test, even if you’re familiar with the area. Coos Bay, OR. - Experts believe the last time anyone saw the Helen E was in 1951. After seven days at sea, the 107-foot fishing vessel ran aground on the North Spit of Coos Bay, during a fierce storm while looking for a port to pull into. North of Coos Bay is the Oregon Dunes National Recreation Area, Lawrence of Arabia sand dunes which run 50 miles along the coast and stretch inland for 3 miles too. Taking a dune buggy ride in the 40,000 acres set aside for recreational vehicles, over dunes which soar to 350ft, and where elk, black bear and mountain lions are sometimes seen, is a wind-in-your-hair and heart-pumping experience. Rain or no rain, in the harbors or at one of the innumerable ocean coves and offshore rocks, visitors to America’s Wild Rivers Coast can see four main types of marine mammal, although they should keep their distance for the safety of everyone. The harbor seal is one of the most commonly seen marine mammals along the Oregon and Northern California coastline. They're big, they look cuddly and now, they're wandering into coastal communities looking for food. 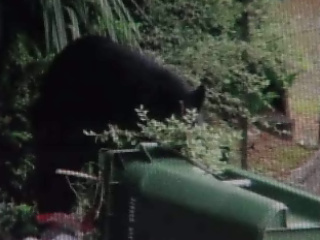 Black bear sightings are on the rise in cities on the coast. According to ODFW District Wildlife Biologist Stuart Love, the Charleston Field Office has seen an increase in reports of bear sightings in coastal cities, including Reedsport, Coos Bay, Bandon and others. The Green Spot in Coos Bay is proud to announce the grand opening of The Green Spot Internet Café. The public is invited to come in and surf the internet free of charge on one of two computer stations, in a comfortable and relaxed setting. So, if you need to Google a map…or do some online shopping, stop by The Green Spot and check out the Internet Cafe. If you like Heavy Metal you need to be in Coos Bay tomorrow night because it's Heavy Metal at The Green Spot with Among The Weak, updownleftright, Naked In Alaska, A Year In Review plus TBA.